Says Gurbachan Jagat, a former Director-General of the Border Security Force who was closely involved in the border fencing project. “It’s true the rivers are hard to fence but there are other solutions, like nets across the river, technical surveillance, and, most importantly, moving troops from less vulnerable stretches to more vulnerable ones”. The BSF complains it doesn’t have enough personnel to fix the problem. Each BSF battalion in Punjab, a senior officer told The Indian Express, guards 34 km of the border. In Jammu, where the border is also fully fenced, a battalion protects just 21 km. Last year, after the Dinanagar attack, Punjab Deputy Chief Minister Sukhbir Badal wrote to Union Home Minister Rajnath Singh, asking for force levels to be increased. That still hasn’t been done. As much as 462 km of Punjab’s 553 km of border with Pakistan is fenced, and protected with electrified wire, sensors and floodlights, according to Home Ministry data. It’s the other 91 kilometres for which a problem should have been found by the BSF, and the MHA, to which it reports. Police investigators have found Ikagar Singh’s mobile received one phone call from Pakistan, and made eight to numbers Indian intelligence services say are linked to top Jaish-e-Muhammad commanders in Bahawalpur. The phone calls led to speculation that he may have been linked to narcotics traffickers based across the border. 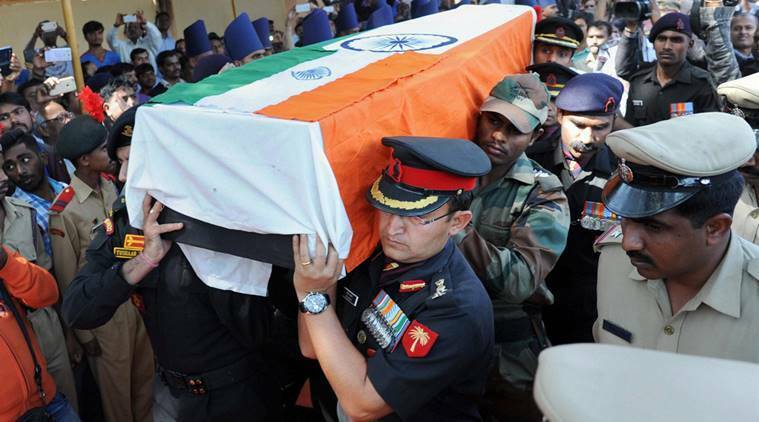 He was, it is now clear, the first victim of the Pathankot attack and his killing points to the first in the long series of security failings which facilitated the strike. It was at 3:23 am on New Year’s Day that Punjab Police learned it had a problem — although it would be a while until it realised just how serious that problem was. Just an hour short of the old year’s midnight, four, perhaps five men in combat fatigues — eyewitness testimony varies — stopped a Mahindra XUV jeep at Kolian village (24 km from the airbase) carrying Superintendent of Police Salwinder Singh, his jeweller friend Rajesh Verma, and Salwinder’s cook, Gopal Das. The terrorists offload the SP and Gopal, tie their hands, and take off in the vehicle with Verma. At 2.30 am, Salwinder Singh called SSP Gurdaspur G S Toor using the phone of a villager in Simbli close to where he was dumped. His claim was treated with skepticism. “Are you coming from a party”, Toor is said to have asked and then told him to call the control room. His calls, though, led the Pathankot police control room to use a special code to wake up the district’s Senior Superintendent of Police, R K Bakshi. Patrols were now asked to start hunting for the hijacked vehicle. “By 3.30 AM, the red alert had been sounded”, an official said. “By 3.35 AM, nakabandi (barricading) had been ordered” an official said. It wasn’t until 7 am, though, that the Mahindra XUV was finally tracked down, just outside the Air Force Base in Pathankot. The injured Verma was found just a short while earlier. Ikagar Singh’s Innova, and his body, were only found at 11 am. Why did the hunt — which could have confirmed the seriousness of the threat — take so long? One answer lies, police officials claim, in a financial constraint so severe that rural police stations have been left, on an average, with a maximum of two functioning vehicles for their jurisdictions, and lacking fuel for more than a few hours of running each day. Night patrolling has had to be terminated, a top Punjab Police officer said. It was only at around 9 am, thus, that the seriousness of the situation fully sank in: Until then, the police had treated the kidnapping as just another crime, which given the resources they have did not mean a great deal was done. These early reports were sent to New Delhi by the Intelligence Bureau’s Amritsar station, whose Deputy Director, according to MHA officials, became increasingly agitated as the morning wore on. His concerns were fuelled by worries in the police that military facilities in the Amritsar area might just be the target of an attack. At just after 12.30 pm, the police got the break they were looking for: Salwinder Singh’s phone, snatched by his kidnappers, was used to make the first of a series of four phone calls to known Jaish-e-Muhammad operatives in Bahawalpur. More than 12 hours would pass before the terrorist on the line made his last call, at 1.58 am on January 2 — bidding farewell to his mother. From the cellphone data, it was clear the terrorists were in Pathankot making clear that the target was also somewhere in the area. Later that afternoon, at 3.30 pm, National Security Advisor Ajit Doval held a meeting with the Chief of Army Staff, General Dalbir Singh Suhag; the Chief of Air Staff, Air Marshal Arup Raha, and Intelligence Bureau chief Dineshwar Sharma. Earlier that day, a message had been sent to all military bases: “Suspicious movement of vehicle no PB02 BW0313 Mahindra XUV with terrorists in Army uniform spotted in Gurdaspur at 0500hrs”. “Inputs of terrorists in close vicinity of Army camps”, the message was now updated to read. “Please alert all guards and pickets and keep QRTs (Quick Reaction Teams) and columns ready for deployment to strike at short notice”. At 8.30 pm, two Special Force teams, QRTs, and six Mine Protected Vehicles from the Army were in place at Mamoon just 10 min from the airbase. Why were they not sent to the base directly? “The attack could have taken place anywhere so we needed to have flexibility on deployment,” said an Army official. Fearing that the attack could also target hundreds of military families living in Pathankot, Doval ordered the National Security Guard into Pathankot at 9 pm, in case a hostage situation developed. The force, NSG sources said, was ordered to be prepared to deal with a hostage situation, or in case critical military assets, like the aircraft in Pathankot, were hit in an assault. At 10.10 pm, 130 NSG personnel arrived at the base, at 2.30 am, 80 more joined them. Everything, in theory, was in place. In practice, things were very different. The cellphone data, notably, didn’t tell the intelligence services much. It showed that the phones the terrorists were using were broadcasting to the cellphone tower that covered the Air Force base. The problem was that the cellphone tower also covered a lot else. 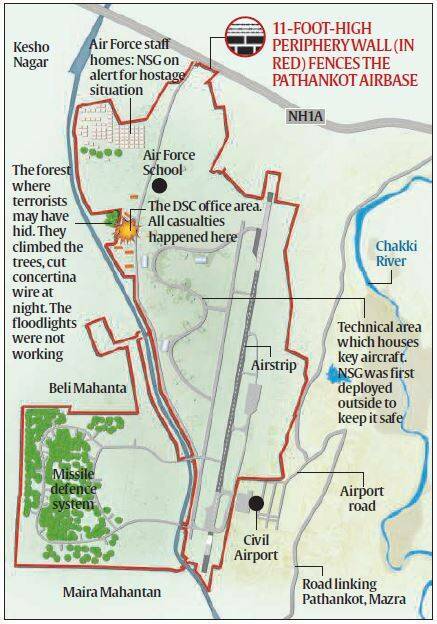 Depending on the height of the cellphone tower, the physical topography, and even climactic conditions, cellphone towers transmit signals up to several kilometres — and in low-rise Pathankot, that meant it covered not just the airbase, but dozens of other buildings. 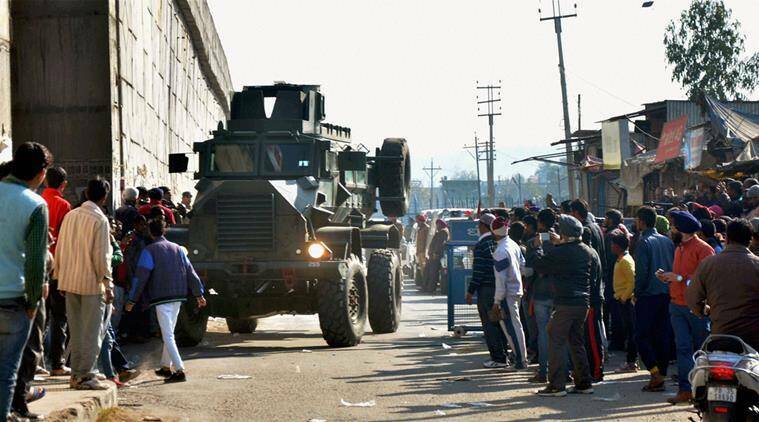 In practice, that meant all potential targets in Pathankot were expected to ensure their own perimeter was secure until they were assaulted by terrorists, in the kind of dramatic frontal assaults fidayeen units have often staged elsewhere in the country. This assumption, the second part of The Indian Express investigation has found, was where things went wrong.